Do you share my obsessions? 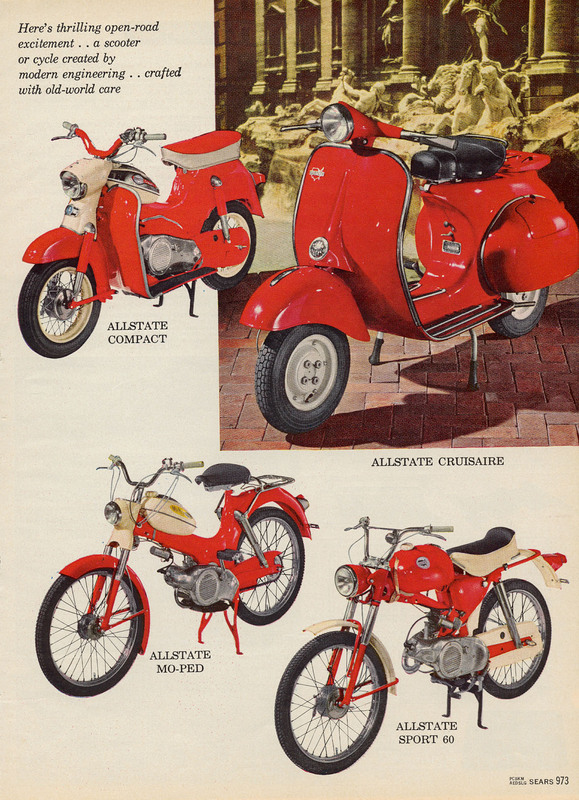 Have any Sears, Allstate, Puch, Gilera, Silvertone, MZ or Studebaker stories you want to share? I read all my mail. I look forward to hearing from you! Would you like a CD-ROM of Sears Catalog Motorcycle Pages? I have finished my project, scanning in an electronic version of the motorcycle pages from the Sears catalogs of the `60's. I scanned approximately 100 pages of original catalogs (which I purchased at a fairly substantial cost in money and search time) as .jpg's. I put them all on a CD-ROM so you can purchase just the distilled motorcycle-related pages from all these massive volumes and stare at your favorite models whenever you want. Let me know if you would like to purchase one of these. I am offering them at $16 each. This is below the cost of even one of the Big Book catalogs which I purchased over 20 of (with lots of summer sale catalog and automotive catalogs to boot) to glean this info from. The scans are in color, even though many of the originals are in black and white. The aging of the pages gives them a nice sepia tone. But the color pages, of which there are about 20, are nothing short of amazing! 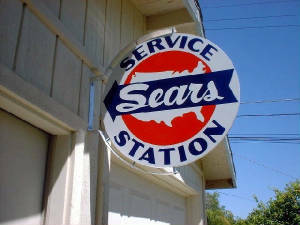 See your Sears bike as you may have never seen it before. Read the specs. Gasp at the low prices! Make screen savers out of them!